New Legendary weapons & armor in AC Odyssey Legacy of the First Blade are not numerous, but they are pretty cool. 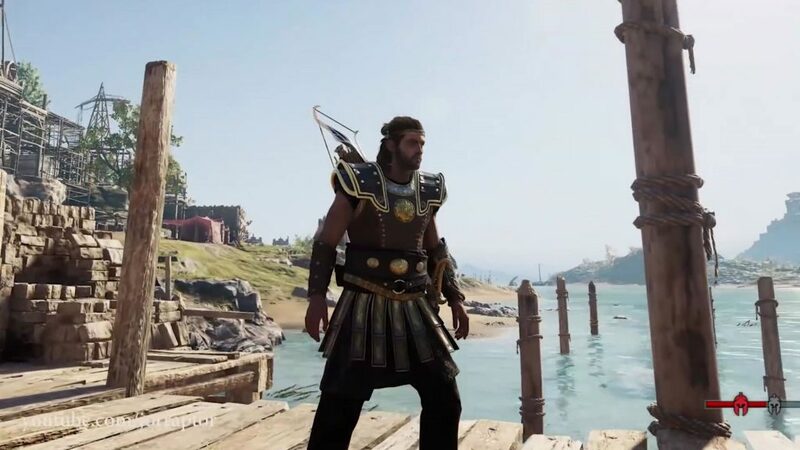 There’s an armor set and several legendary weapons in the first Assassins’ Creed Odyssey DLC, and you’re gonna want to get all of them. So, the questions are: how to get the new DLC legendary gear, and what bonuses do they give? Our Legacy of the First Blade DLC Legendary Weapons & Armor guide will show you all the new legendary gear in the DLC, what it looks like, what it does, and more. The Edge of Time Legendary Dagger, like the Pride of the Lion below, is an awesome weapon. It’s useful for players that like playing with Assassin abilities, but it’s also really handy for all styles of play. Why? Because its Legendary perk is reducing all cooldowns by 10% on every successful parry. This could easily save your life, allowing you access to abilities faster than usual. On top of that, you also get +15% to both Assassin Damage and Adrenaline per Hit. Pride of the Lion is a Legendary Sword that is a dream for those of you that prefer to main the Assassin class. It requires you to be level 43 to use it, and for a good reason, because it’s truly a beast. The Pride of the Lion sword adds +15% Assassin Damage, and +15% Adrenaline per hit. Most importantly, though, it let’s you chain one more target with the Rush Assassinate Ability. In other words, with this sword, you can chain up to four enemies using Rush Assassinate. It’s awesome. The Persian Elite Legendary Armor set is both a cool-looking and really useful bunch of gear. First of all, it offers an awesome Armor Set bonus: +40% damage whenever time is slowed down. Combined with the Edge of Time dagger, which requires parrying (which, in turn, slows down time), it can potentially turn you into a legit buzzsaw. You get this armor set by clearing out the new targets that the DLC brings to the table. There are five pieces of armor in the Persian Elite set: a headband, arm guards, a chest guard, a belt, and greaves. Each item gives you +15% Warrior damage; plus, every piece has an individual bonus it grants. The head armor adds +4% Fire damage, the arms grant +3% adrenaline per hit, the chest guard gives +5% CRIT damage, the belt adds another +1% CRIT, and the leg armor lets you have +1% to all damage.